Our article – price of cigarettes by state: 10 cheapest states, reveals parts of the United States where smoking won’t lead you to bankruptcy. Smoking cigarettes is a really bad habit and if you didn’t smoke so far, don’t begin. Being a smoker, definitely doesn’t pay off because of many reasons – it is bad for your health, it affects other people around you and it hurts the environment. Also, there is a financial side to smoking that makes it a less desirable habit in the recent times. The prices of cigarettes are constantly increasing. I will take the example of the average prices of cigarette packs in the United States. In 1993, the average retail price of a pack was $1.69. Sounds unbelievable right? Even more, when you know that the average in 2007 was $4.34. The main reason for the increase are the high cigarette tax rates implemented by states. If you guessed that this influenced the decrease of smokers, you are right. According to data collected by the Centers for Disease Control and Prevention, as of 2015, 15.1% people in the United States consume cigarettes. This represents a 20.9% decrease compared to 2005. Overall, the number of cigarette consumers is decreasing in the developed countries. Unfortunately, this isn’t the case in developing countries, where the percentage of smokers keeps rising up. In case you are curious about other cigarettes related articles, check out our list of 5 Best-Selling Ultra-Light Cigarettes in the World. 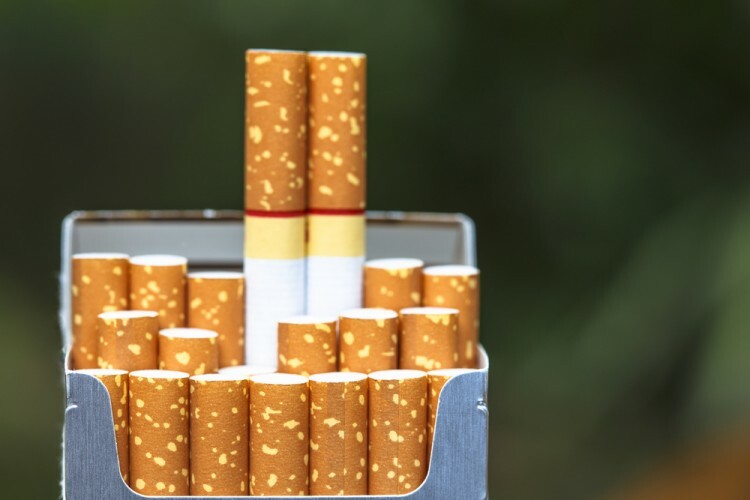 In order to find the information about price of cigarettes by state and create a list of 10 price of cigarettes by state: 10 cheapest states, we have consulted the report made by The Awl from 2016. Each year, they collect the data about the prices of Marlboro Reds in all the states and calculate the average price of a pack by every state. This is a good indicator of the overall prices of all cigarettes brands. Now let’s check out where does being a smoker is least painful in terms of finances.